People always need to be appreciated, rewarded, and praised. At home, they can take benefits from the personal attention of their family, but at work or while studying they can get visual confirmation of their achievements. For this reason, a great variety of certificates exists. 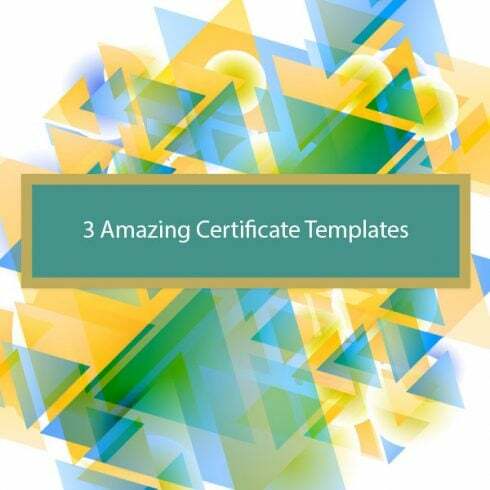 Masterbundles offers you 3 certificate templates suitable for any kind of business, competition, celebration, and academic activities. All the mockups feature a completely editable pre-made design with a great variety of layouts (festive and serious looks) and a number of customizable options. They serve a brilliant, win-win solution for making an appreciation of people’s talents and achievements more valuable, individual, outstanding, and memorable. Business. 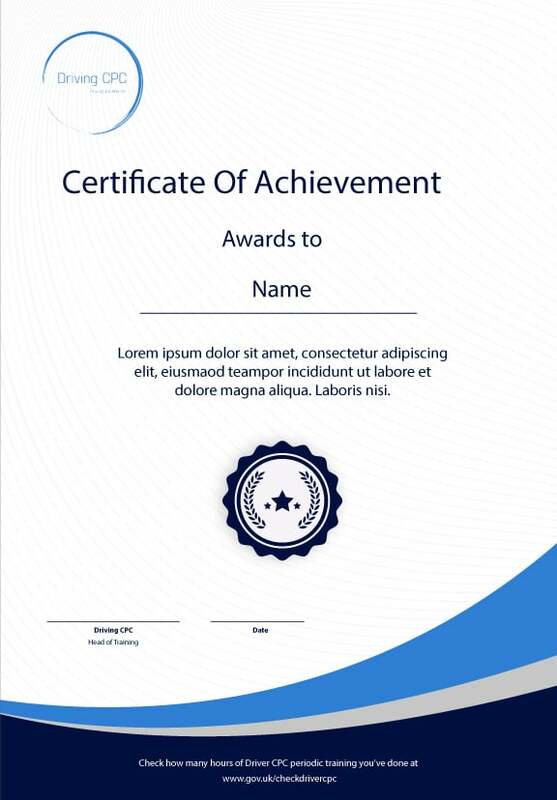 There are millions of variants of certificates that can be created to appreciate workers’ achievements or send them greetings with any occasion. For example, Perfect Attendance, Employee Awards, Bookkeeper’s Day, etc. Sports. It’s hard to imagine this sphere without using certificates. There are numerous occasions to reward sportsmen accomplishments during various competitions: Certificates for 1st, 2nd, 3rd and etc placement, individual and team sports awards, Most Valuable Player or Most Successful Coacher, and many more. General. Whichever sphere of life you take, award certificates can come in handy. You can face funny certificates as souvenirs, award certificates for music (computer, painting, designing, etc.) achievements, and hundreds of others. 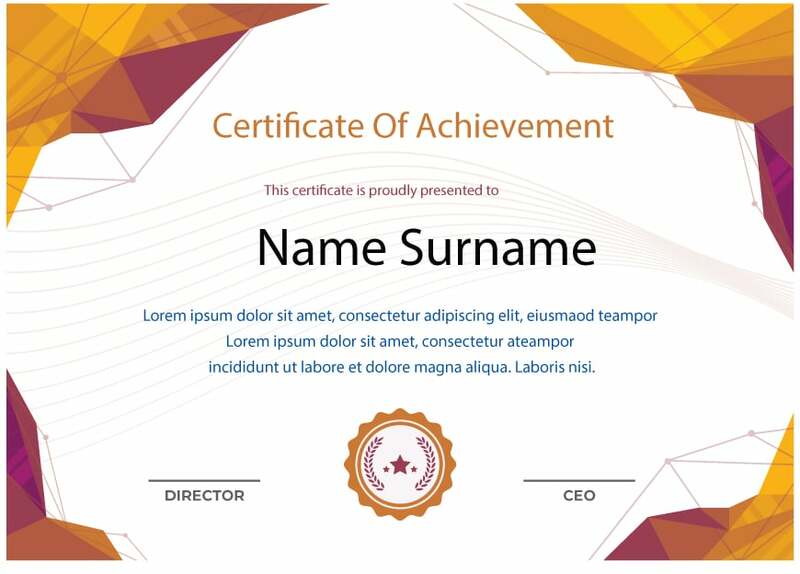 You can figure out your own award and customize an existing template. 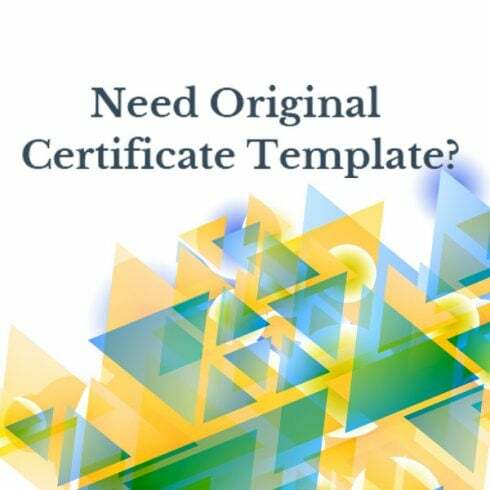 MasterBundles Certificate Templates are carefully created to be easily customized up to user’s preferences and business needs. 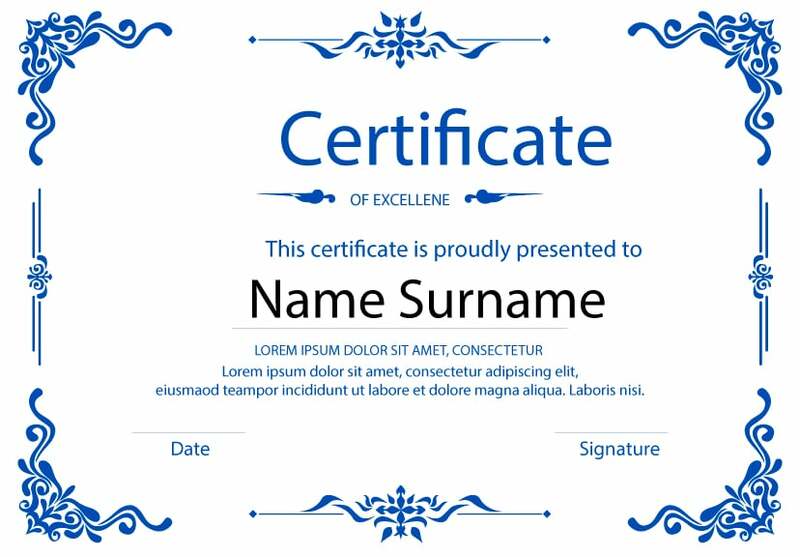 Just what is a Certificate Templates for All Possible Needs? Can a designer sketch anything from scratch? Generally, yes. Should he? It truly is unproductive, will take too much unnecessary time. For this reason many of the web designers make use of pre-made visual components – combine these graphic components, customize them and develop the design with them. Nobody is going to purchase all those elements separately, so that’s exactly why they are put together into graphic bundles and marketed as a single product. The selections of components gathered into a graphics bundle deal are usually sorted based on their main objective and kind. There will probably be packages with business card templates, mockups, wedding invitation templates, infographics and icons, etc. You may also manage to find graphic bundles tailored for Christmas, St. Valentine’s Day, Christmas or St. Valentine’s Day. The pros of graphic bundles for designers are usually quite evident. However if you are new to them and still have doubts, the subsequent information will be of great help for you. Including a great number of the components within a single package, the selection gives you a chance to use different of them for various projects. What’s more, the price is typically greatly reduced which allows you to save some dollars, yet get the complete set valued for hundreds or thousands of dollars. Tips on how to save a lot more money on MasterBundles items? Would you like a 5% extra price reduction on any selection from MasterBundles.com? What you need to do is simply share the page with a package deal on social media (Facebook). Once done, the price reduction will be instantly added to your current cart. MasterBundles.com delivers you a large variety of different products. We offer not just graphics bundles but also something like 20 other different types of products and solutions. Fonts, WordPress themes, mockups, icons, photos, illustrations, presentation templates and a whole lot more – on the MasterBundles.com you’ll be able to locate all the products, necessary for a design. MasterBundles.com is a website that accumulates top design products from around the internet and lets you purchase the design components you need in your business for a lower price. Bundles this fabulous website sells are limited in time, and that’s the reason they are so inexpensive. MasterBundles boasts a big blog with the interesting design news and features described.